Bush Ross Associate Ronnell Robinzine was the first recipient of the George Edgecomb Bar Association Outstanding Young Lawyer’s Award. 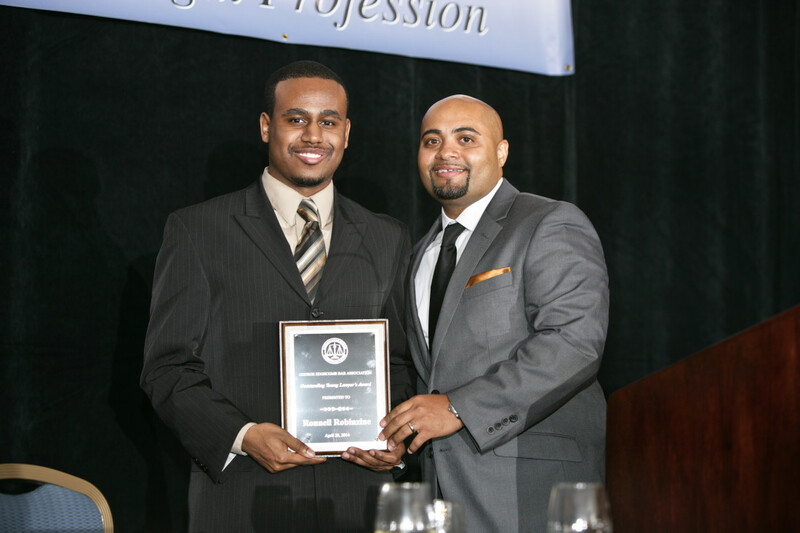 He was presented with the award at GEBA's annual scholarship banquet held on April 28, 2014. Mr. Robinzine was recognized for his outstanding work on behalf of GEBA, including his role in the formation of the Young Lawyers Committee and the acquisition of two key grants.